Alex: Hey, I just found out that insurance plan got more than one kind! Jayden: Really meh? Isn’t there only one type of insurance, the kind that everybody buys? Alex: Ya lah! The more common ones are whole life plan and term life plan! Jayden: What difference do they have sia? Alex: They have different price and different coverage years! Jayden: Walao, I thought have “life” means cover for life until I die!! I better go back and check my policy. 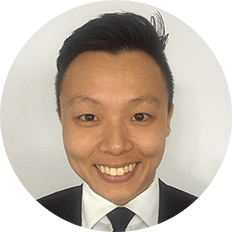 Alex: Not like you read the policy you can understand what it is talking about, you better check with your agent on your policy details or get an external financial advisor representative to review your policies. You better go find help ASAP before anything bad happens to you! Jayden: Wah so serious, I think next time then we catch up bah, I need go back and settle this first!! What Is A Whole Life Policy? Whole Life Policy is one of the most common type of insurance policy, just like the name denotes – it covers Whole-Of-Life of the policyholder. In layman language – The insurance policy covers you for your whole life. Do you know that a whole life policy can be customized with different premium payment terms such that you will be free from commitment in your older age? Whole Life policies build up cash value over time, and due to compounding effect over time, cash values typically grows faster that your savings deposit account. These cash values can then be used for future needs while you have insurance cover along the way! **Pro Tip: Add Critical Illness coverage into your whole life plan – you get Critical Illness covered for whole of life even when you finished paying the premiums! 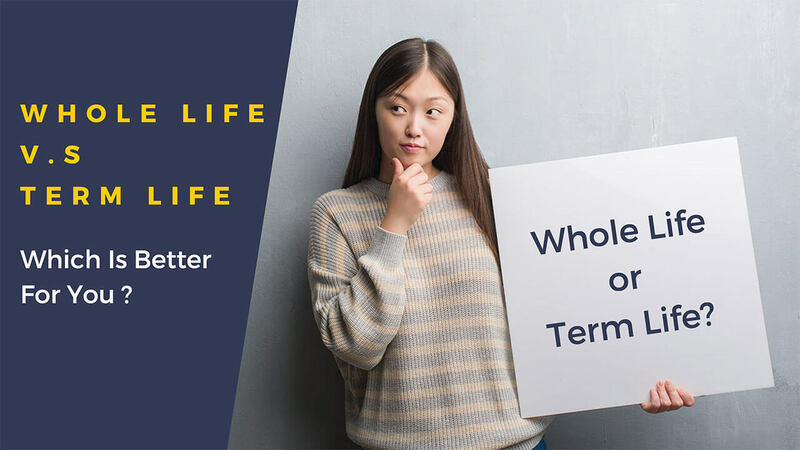 Like the name explains, Term Life Policy covers the policyholder for a fixed term, such as 10 years, 15 years, up till age 65 etc… The policy will then cease upon reaching the term. Unlike Whole Life Policies which can be customize the premium terms, term life policyholders would need to pay all the way to the full term of the policy. Another major difference is that Term Life Plan is a pure insurance plan that does not build up cash value. Due to this “plain-vanilla” insurance feature, Term Life Plan is typically more affordable. Used in a right way, Term Life Plan is a fantastic complement to your portfolio. **Pro Tip: Some Term Life Policies have a “lump sum” discount when coverage amount exceeds 1 million! You may be paying a cheaper premium even with a higher coverage! 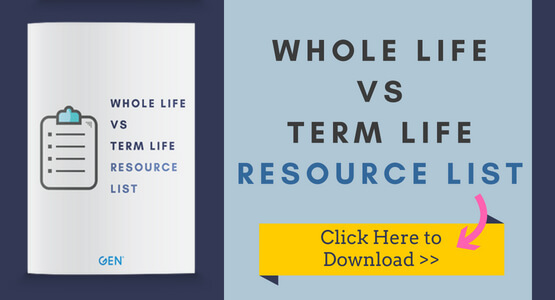 Which is better -Term Life or Whole Life? Term Life or Whole Life is more suitable for me? Whole Life Policy – Highly recommended as a “Base Plan” for every individual. Why so – because the need for insurance doesn’t ever end, it is a whole life need and thus a whole life solution. Term Life Plan – Highly recommended as a “Top Up” for needs that have an end point – such as mortgage loan cancellation, dependent’s care till adulthood. Everyone is different in their own way at different life stages with encompassing lifestyles and expectation. But certain things in life such as insurance needs doesn’t change – it just gets increasingly complicated as we move on from one life stage to another tackling different issues as they come along. As a Financial Planner, my job is to “un-complicate” such issues and make financial planning easy! As a thank you gift for reading this article as well as to encourage healthy financial planning, I have provided a Resource List to help you get started on your planning. If you would like your own personalized Whole-Life vs Term Life Comparison – Fill up this Request form below and I will get back to you soonest! * By furnishing your details, you expressly authorize agree and consent to be contacted by Professional Investment Advisory Services (“PIAS”) as well as collecting, using and/or disclosing your data for purposes reasonably required by the PIAS to generate the quotation and contact you by WhatsApp, SMS, email and/or telephone call in relation to the enquiry. If you want to know more about Whole Life and Term Life or any other enquiries, you may contact me through whatsapp, schedule an appointment with me or fill up the form below and I will get back to you as soon as possible. Making Sense Seminar - Retiring in Style - Are you Prepared? Women’s Insurance – Do We Ladies Really Need It?